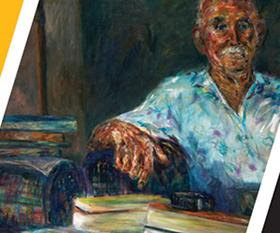 The annual $2500 prize has been generously endowed by Emeritus Professor Bruce Dawe AO to celebrate Australian poetry. The winner will be announced in August, with travel to the awards ceremony covered in addition to the prize. Entries close on Friday 1 June 2018. Poetry shapes our culture. None believed this more so than Professor Dawe, one of Australia's most acclaimed contemporary poets. Professor Dawe believed that universities should support the study of Literature and promote the Arts in Australian society. His decision to sponsor this prominent Literary Prize is ongoing, living proof of his conviction. Bruce continues to write passionately with his most recent work, Border Security, published in 2016 at the age of 86. As Australia’s best-selling living poet, Bruce has had a varied career from joining the RAAF in 1959 to working as a labourer, farmhand, clerk, gardener, teacher, and much more. For more information, please email us at brucedaweprize@usq.edu.au or visit The Bruce Dawe National Poetry Prize for terms and conditions, how to enter, and frequently asked questions.